Homeopathy can be used to treat any symptoms or disease – whether a physical complaint, emotional imbalance or disorder of the mind. A diagnosis is simply a label given to a common set of symptoms, all of which can be addressed with the use of homeopathic remedies. 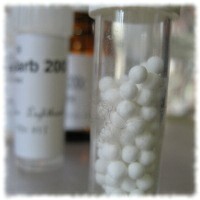 All members of the family can use homeopathic medicines as they are safe, gentle and without side effects. They are safe to be used in conjunction with most medications. An initial consultation usually takes 90 minutes where comprehensive information is gathered regarding your current set of symptoms as well as past health history. You will be asked questions to help describe your symptoms to see how you express your sensations and condition in your unique individual way. This will assist in finding the most suitable remedy. A facial analysis will also be conducted to determine your miasm (genetic inherited constitution) It is an observational process designed to rate the shape/alignment/size of your facial features/lines to help assist in the selection of the most suitable remedy.